Yeah. 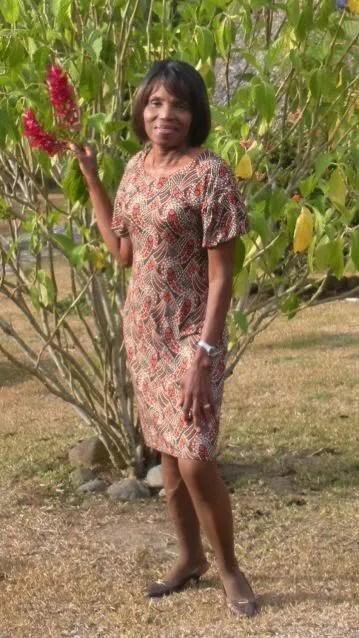 That’s my mom looking all foxy coming home from church in the BWOF 2-2009-119 dress that I did not love on me. She’s managed to work it into several conversations and has shamelessly hinted around for more. Soooo, yeah. She looks awesome. I now have no excuse not to make her something every so often. Next Post I’m actually done…. How old was she when she had you?! Wow she really does look fabulous, and the dress is really great on her. Wow, she looks great in that dress! A Good daughter would make another one immediately! Are you SURE that’s your Mom? She doesn’t look old enough to have kids your age! Agree, this is beautiful on her. The dress got a good home. Your mom looks so pretty! The dress looks great on her! Your mom looks AMAZING! That dress suits her so well. Yay for making our Mom’s outfits….of course I bought my Mom hers this year….ssshhhhhh!!! Wow Cidell she looks so pretty in that! Boy did you open up Pandora’s box. Your mom looks great. The dress is perfect for her. Fabulous! Nicely done. Today I wish I lived somewhere warmer like Panama. It looks wonderful on her!! Your mom is ROCKING that dress!!! Go Cidell! I agree-your Mom looks so young, like a teenager! Just think how nicely you’ll age, too. Your Mom is HOT. I liked the dress on you, but honestly, she really makes it look special, too. Maybe it’s the tropical lighting. She looks wonderful in this dress. It fits her perfectly! Wow your mom looks fabulous! The style really suits her. That looks great on her !What a wonderful mother’s day gift! Your mom certainly compliments that dress. Or is it the dress that compliments mom? I’m SURE she’s thrilled with it. Lovely gift for Mother’s Day. That dress was meant for your mom. She looks terrific in it. The dress looks great on your Mom. You know people always think after a certain age dresses have to be below the knee but the dress has a great length. Your mom looks like she is in excellent shape. Your mother is gorgeous. Geez, she looks young! Your mother is beautiful and that dress is perfect. Wow. The dress looks fabulous on your Mom! Then again, I thought it looked good on you too! That’s a perfect mother’s day gift. A very beautiful dress for a very beautiful mom! Great fit, the dress looks fabulous on your mom. That pattern looks great on your Mum! It makes me want to make it! The dress looks wonderful on your Mom. She’s so beautiful. Not hard to see were you get your good looks. Work it Mama! That dress is so perfect on her!! She is stunning in it! Look where all your gorgeous genes came from 🙂 You’re immeasurably fortunate to have her in your life. Wow! You got good genes! Your mom and her dress are both lovely! That’s a good incentive to sew for her–she wears the project so well! I’m sure she appreciates the thoughtfulness of her daughter! Mom looks great in this dress! I tell you, if my daughter ever made me a dress I would have a heart attack. Wow! It looks great on her! I thought it looked great on you too. You mom looks amazing and beautiful in that dress! Lucky you to have such a awesome mom. Good Grief – your mother must have had you when she was 2 y/o….she looks so young – like you’re older sister. What fabulous genes you have! Wow she really looks fantastic in that dress, I’m not surprised she’s hinting at some more! Your mom is a fox! And she looks so proud to be wearing that great dress. Now you have to make her more. The very definition of a hot mama! The dress suits her perfectly. Your mom looks fantastic in your dress! Wow your Mom looks awesome . I really like that dress , its so flattering . I must add yet another affirmation of what a great dress that is for your mom and that she most definitely IS a foxy looking Mom!! Oh my goodness, she looks so adorable! You’re inspiring me to sew more for my mom. Goodness, gracious! She only looks old enough to be your sister! Your mom is stunning – and the dress is pretty darn lovely too. Thanks for being so generous with your writings and pictures. oh damn, i’m quitting. When someone’s mom looks a million times better in the dress than me, it just deflates me completely! Yes, she does look really good and I don’t blame her for wanting you to make her some more lovely dresses! Can I ask what she is doing in Panama? My cousin has a thing about living in Honduras and head-in-the-sand me is just coming around to discovering Central America… I’d do a search to try to answer my own question, but I don’t find a search button thing on your blog. I envy you your sewing skills, but realise you work hard to have them. I’m slowly coming along with mine…you’re an inspiration! It looks like to made it just for her. Wonderful, and so sweet!